NEW YORK – Madison Square Garden, a famed basketball building where Mo Bamba has been several times as a patron but never as a player, helped to crystalize his dreams of someday playing the NBA. But as for the 7-footer’s start in basketball and his deep love for the sport, that was cultivated and refined some 4 ½ miles away at another basketball mecca not nearly as bright and shiny as Madison Square Garden. ``The Kingdome,’’ as it’s known to Bamba and others who have spent hours there in Harlem playing pick-up basketball on the asphalt courts, will always hold a special place in the big man’s heart for so many reasons. 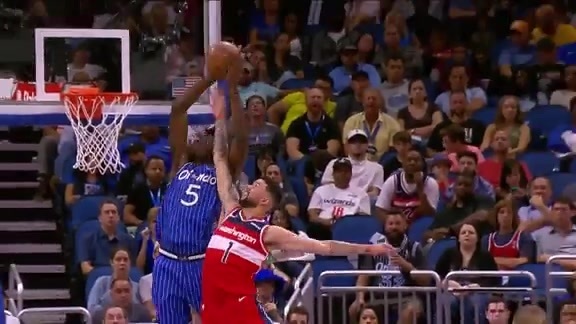 It’s where the Orlando Magic rookie center dunked a basketball for the first time at the age of 13, and where he used to be ``a perimeter dude’’ and someone who could ``really handle (the ball) a lil’ bit.’’ It’s also a no-excuses, no-nonsense place where he was taught the importance of defense and shot blocking because if someone scored on you three times in a row, you got kicked off the courts. Playground legends Nate ``Tiny’’ Archibald, Ron Artest, Kenny Anderson and Rafer Alston made it to the NBA from those courts, but that’s not the defining characteristic of ``The Kingdome’’ for Bamba. For him, basketball there was a safe haven from his hard-scrabble surroundings. ``It was, like, an outlet to me, and it was a way to get away from all of the madness that was going on,’’ Bamba said of life in Harlem, where he lived in the housing complex across the streets of the basketball courts. Bamba, 20, wishes many of those gritty, trash-talking players from back in the day at ``The Kingdome’’ could see his game now considering the strides that he’s made rather quickly at the NBA level. Fresh off a 15-point, three-assist, two-block night in the Magic’s defeat of the Washington Wizards, Bamba will be in New York on Sunday to play an NBA game for the first time as a professional. This time around, he’ll be at Madison Square Garden as a player – and not the quasi-Knicks fan that he was while growing up in New York – for the first time in his life. Whereas Bamba’s return to New York might seem like a scene straight out of Central Casting in Hollywood, he is quick to downplay the magnitude of the moment. Maybe it’s because he grew up in playing on asphalt instead of hardwood and under street lights instead of stage lights, but the big man simply doesn’t consider his return that big of a deal. That’s certainly what the Magic (5-7) want to hear. The franchise has been out of the playoffs each of the past six seasons and it picked the 7-foot, 221-pound Bamba with the No. 6 pick in last June’s Draft with the hopes that he can eventually become a transformational player. Orlando has attempted to bring Bamba along slowly, using him as a reserve and as an understudy to starter Nikola Vucevic, but he’s steadily gained more and more trust and respect of his teammates and head coach Steve Clifford. Many of them feel that because of Bamba’s rare combination of towering size, off-the-charts length, agility and basketball IQ that he is on a can’t-miss path toward greatness. 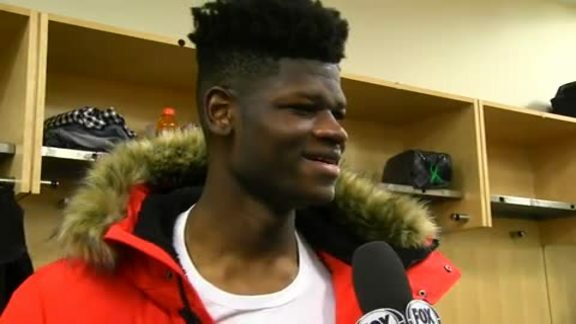 ``Everything is still new to him, but I love his attitude,’’ Clifford said of Bamba, who heads into Sunday’s game against the Knicks averaging 6.8 points, 5.3 rebounds and 1.67 blocks in 19 minutes a night. ``He’s very bright, he wants to do well and he’s figuring out how he has to play to play well. ``I’m going to say this: He’s so smart and he’s really working, and two months from now – he’s playing fine now, too – but (in two months) he’ll be a much, much better player,’’ the veteran coach added. That, undoubtedly, will be a progression worth watching as the 7-foot Bamba already possesses the kind of skill and maturity of someone well beyond his years. On Friday, he made a 3-pointer and seven of eight shots, and on his one miss, he snatched the rebound out of the air and finished in traffic. There was also a play where he soared high above Washington guard Austin Rivers for a rebound and a thunderous dunk, but that moment paled in comparison to what Bamba pulled off in the third quarter. After noticing that the floor was wide open, Bamba dribbled twice with his left hand to back down 6-foot-9 Washington forward Jeff Green before stepping back for a feathery-soft jumper that found the bottom of the basket. Had he pulled his right leg up a bit higher on the virtually unblockable fade-away, the shot might have resembled something that fellow 7-footer, Dirk Nowitzki, might have used. The true beauty of the play was its simplicity and Bamba’s calm, measured approach. ``I’ve never really played fast,’’ he said. 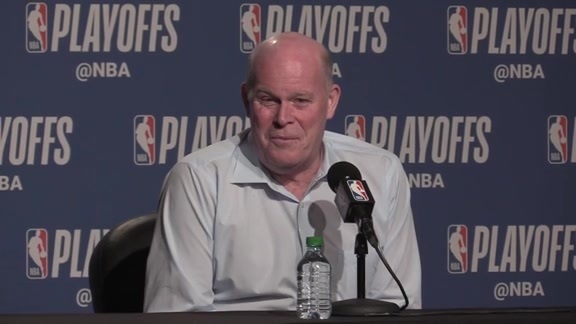 ``I love fast breaks and I love playing full-court basketball, but offensively in the half court, I kind of take my time, let guys cut and let the defense move. Then, if I have a move, I’ll go. If not, I’ll just hand it off to a teammate. The tall and lanky son of parents who had immigrated from West Africa, Bamba didn’t always have it easy while trying to make friends or fit in with others. But basketball perfectly fit a frame that was 6-foot by the time he was 12 years old and 6-8 by his sophomore year of high school and it provided him with plenty of confidence. He was a vastly different player back in those days, he stressed, but those playground battles ultimately shaped who he has become as a basketball star. ``It’s all good stuff and all good memories. It makes me who I am today,’’ he said. ``I truly have New York embedded in my blood. Other than possibly seeing a few family members, Bamba said he doesn’t plan to do much while in New York because ``it’s a business trip.’’ But, undoubtedly, he’ll think about that basketball path that led him to getting this chance to play at Madison Square Garden as an NBA player. He’s headed back home a much player than he was as a kid on those asphalt courts and a little part of him wishes those foes could see his game now.